You’ve been there and done that: You go out with your friends, but when it comes time to settle the tab, it turns out that no one has cash. Then you and your friends whip out your credit cards, only to realize that paying with multiple credit cards is well-nigh an exercise in futility. So, someone ends up footing the bill, while the rest have to figure out how to pay him or her back. In the olden days, you would be compelled to swing by an ATM afterwards, or come to an agreement as to who would take care of the bill next time, or write IOUs. But in this day and age, all you have to do is take out your iPhone and you can send or receive money in an instant using a peer-to-peer payment service. There are a handful of tried-and-tested services that let you send and receive money using just your iPhone and their respective apps. They offer speed and convenience when transferring funds for any number of reasons: from splitting the charge for carpooling gas to crowdfunding a friend’s project, from receiving your roommate’s share of the rent to paying your landlord for the month’s dues. But they do so without compromising safety, as they’re equipped with measures and features designed to protect user security and privacy, including encryption, identity verification, and Touch ID integration. 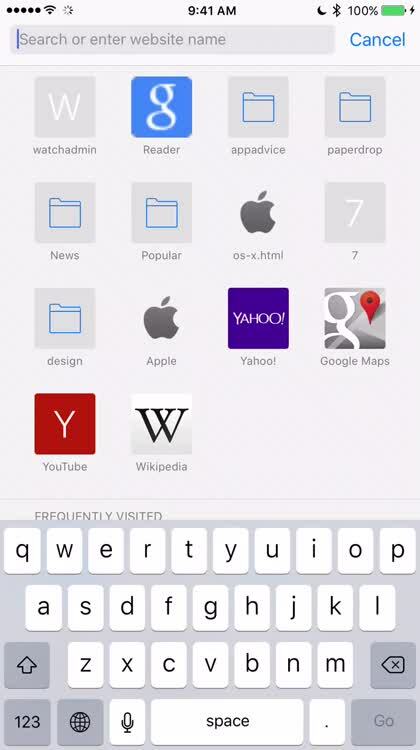 Who needs a wallet when you’ve got an iPhone? But what’s the best peer-to-peer payment service out there? This article seeks to answer that by highlighting five of the most popular, namely, Facebook Payments, Google Wallet, PayPal, Square Cash, and Venmo. So read on and be enlightened about the services that are increasingly making IOUs and the like things of the past — and ultimately find out what service you should be using. 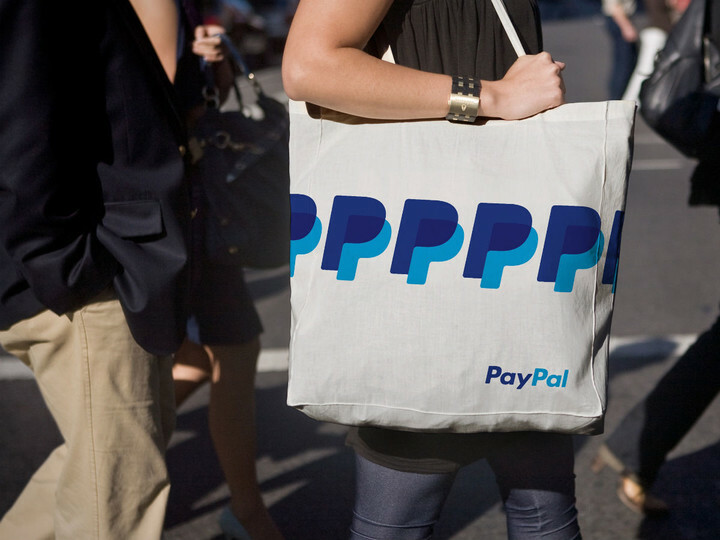 When it comes to online payments, few names are better known than that of PayPal. Indeed, PayPal, which has been around since 1998, may very well be the best-known online payment service not only in the U.S. but also around the world. “From desktops in Delhi to smartphones in Seoul,” as one of its taglines says. PayPal is primarily known for online shopping, and it’s this e-commercial underpinning that continues to stunt the service’s growth toward person-to-person payments. To be sure, PayPal also supports person-to-person payments, including on mobile. However, it still has a long way to go before it actually becomes the best in addition to being the best-known. To send money on the go using PayPal for iPhone, you just have to enter the recipient’s email address or mobile number along with the amount you want to send. 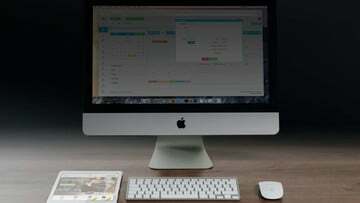 The recipient will then receive an email or text message notifying him or her of the payment. If the recipient’s mobile number is not linked to his or her PayPal account, the recipient needs to log in and add the number in order to receive the money. If the recipient doesn’t have a PayPal account yet, he or she needs to sign up with the email address where the payment notification was sent. You can also request money using PayPal by entering the email address or mobile number of the person you want to ask payment from. 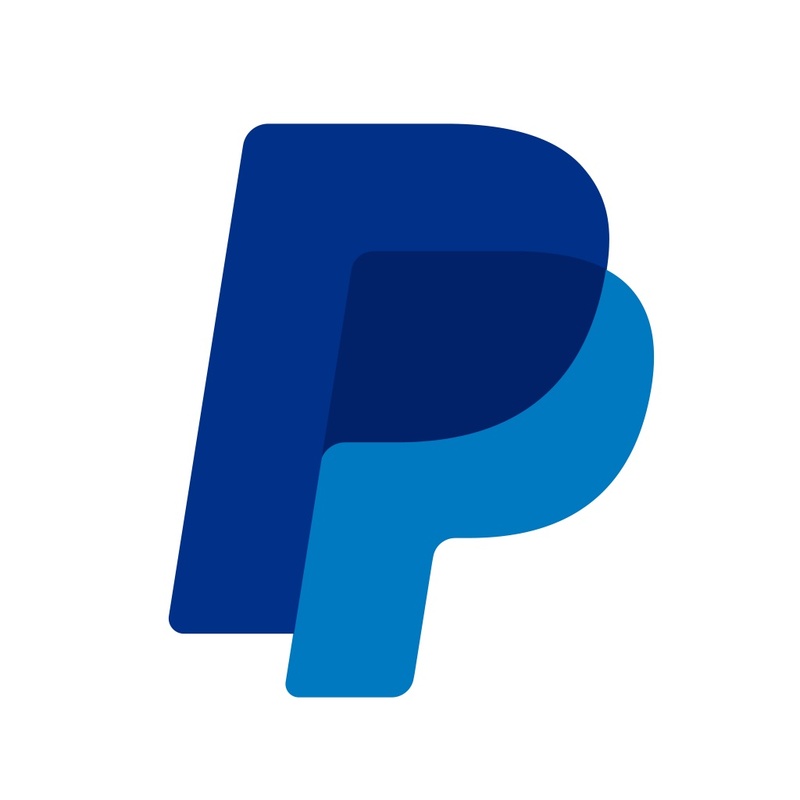 PayPal, in select countries, also offers PayPal.me, a relatively new platform where you can claim your personalized URL which you can share via text, email or social media to request money from family, friends, and other people including complete strangers. People who wish to pay you via PayPal.me need to sign in to or sign up for a PayPal account, though. As you may have noticed, PayPal is all about accounts, accounts, accounts. 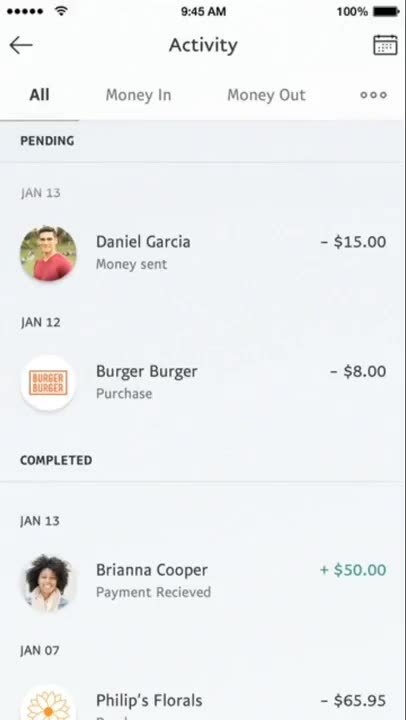 Received money through PayPal? Sorry, you need to sign up for a PayPal account to get your money. Want to send money through PayPal? Oops, you need a PayPal account for that, too. Also, on PayPal, your money sits in your account until you make transfers — a setup that may prove baffling particularly to users who are not well-versed in the nitty-gritty of online payments. 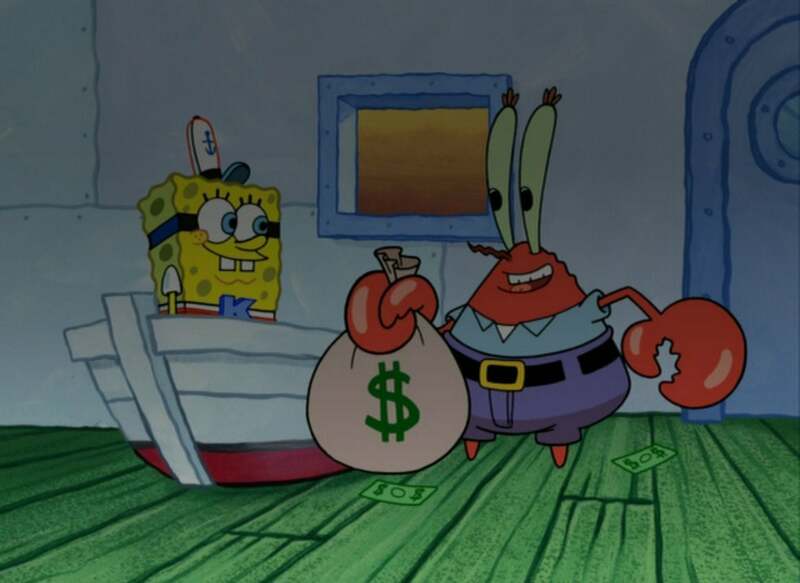 You see, the money you receive is added to your PayPal balance. Your balance serves as your virtual wallet from which you can take money to shop or pay your friends and family with, or from which you can withdraw money into your bank account or by requesting a check. Depending on the bank, withdrawing money can take up to four business days. How much does it cost to use PayPal for peer-to-peer payments? 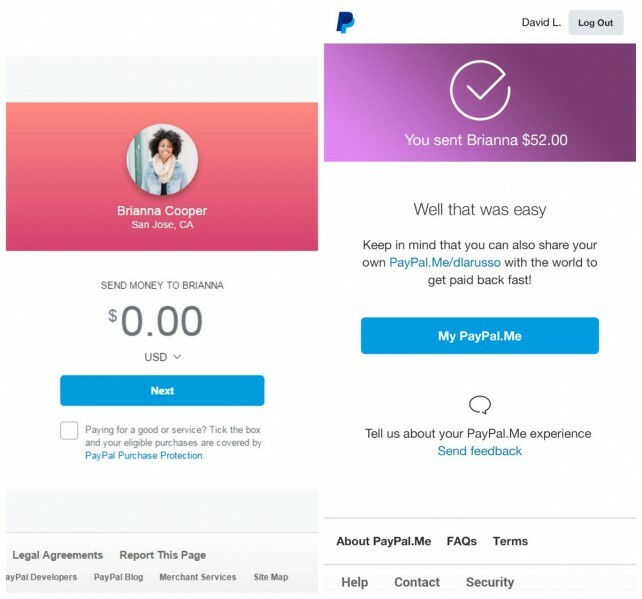 Sending money with PayPal will cost you nothing if you’re sending money within the U.S. and if the money transferred is taken from your PayPal balance or bank account. But if the transfer is funded with your debit or credit card, the transaction will incur a fee of $0.30 plus 2.9 percent of the transfer amount, which you can decide to pay yourself or be shouldered by the recipient. If sending money outside the U.S., the transfer will have a fee ranging from 0.5 to 2 percent when taken from your PayPal balance or bank account, or from 3.4 to 3.9 percent when taken from your debit or credit card. If requesting money, the transaction will cost $0.30 plus 2.9 percent of the transfer amount. PayPal charges no fee when you’re withdrawing from your PayPal balance to your bank account. Your bank may charge a fee of its own for transfers, though, so be sure to contact your bank for information on that. For check withdrawals, there’s a fee of $1.50. While PayPal is undoubtedly a big name in the online payment space, it leaves a lot to be desired and happens to be a bit of a sell when it comes to peer-to-peer transactions. Thankfully, you don’t have to settle for it, and you don’t have to search far to find a better solution — and the operative word is search. Enter: Google Wallet, the U.S.-only digital wallet service of another big-brand Internet company (the eponymous search giant), but with a more pronounced pitch toward peer-to-peer payments. Perhaps the one feature of Google Wallet that speaks most strongly of its being a peer-to-peer payment service is charge split. 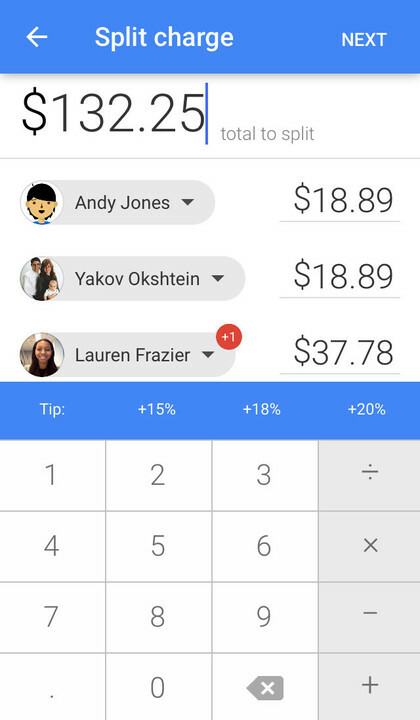 Built into Google Wallet’s official mobile app, the charge split feature comes in handy when you’d like to divide the cost of a transaction with other users such as your friends at a bar or restaurant. Participants in the charge split are duly notified of their respective shares, which they can choose to settle up or decline. Split charges easily with Google Wallet. But like PayPal, Google Wallet demands accounts under the service to carry out the basic acts of sending and receiving money. Using the Google Wallet app, you can send or request money to and from anyone in the U.S. with a mobile number or an email address (not necessarily a Gmail one). 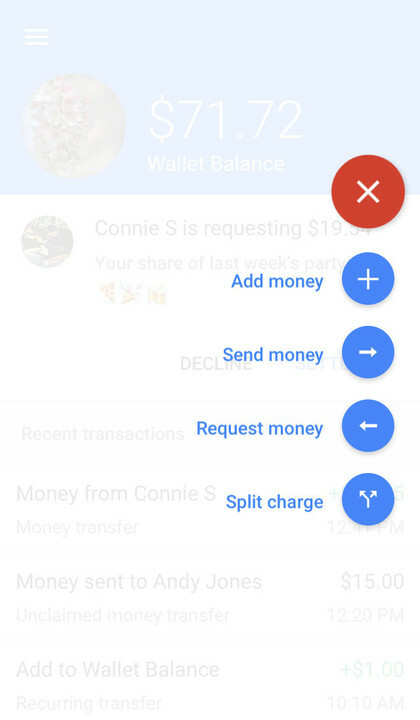 When sending money, you can choose to fund the transfer from your Google Wallet balance, bank account, or debit card. 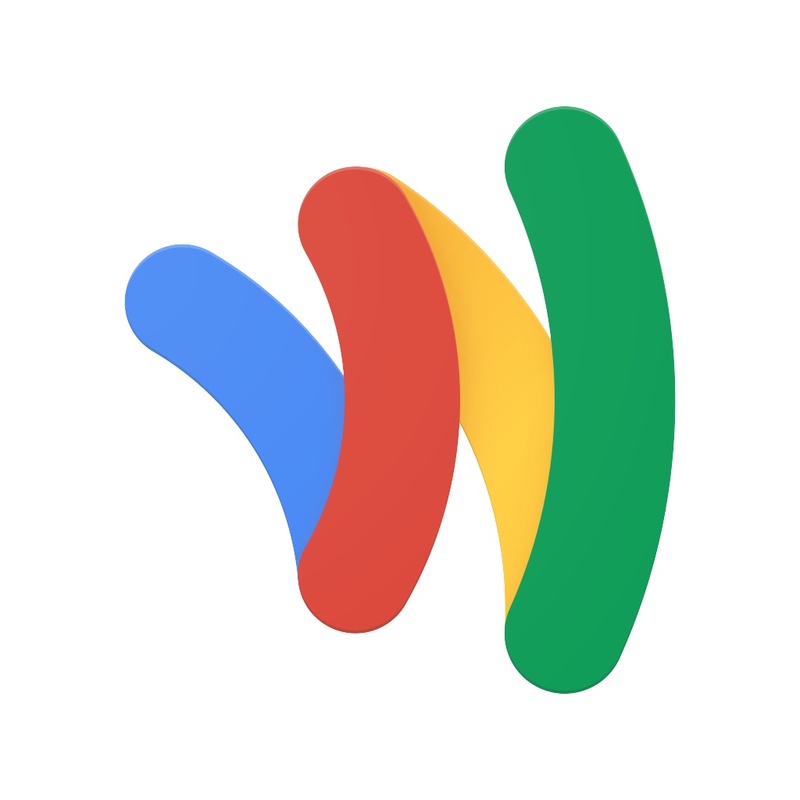 (Google Wallet currently doesn’t support funding money transfers with credit cards.) The recipient has to sign in to or (if he or she doesn’t have a Google Wallet account yet) sign up for Google Wallet using an email address (which, again, doesn’t need to be Gmail) and then verify his or her identity in order to receive the money. 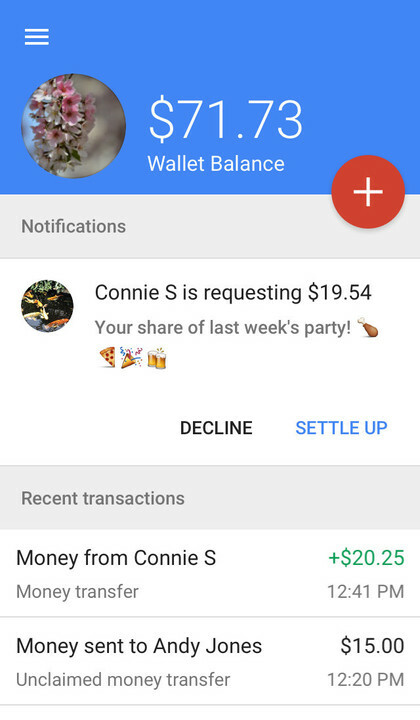 When requesting money, you don’t have to know beforehand whether the person you’re requesting money from already has a Google Wallet account. That’s because he or she is required to sign in to or sign up for Google Wallet to send the money you requested. Money transfers funded via Google Wallet balance or debit card are completed virtually instantly, but transfers funded via bank account could take up to several days to be completed. Another setup similar to PayPal: Google Wallet puts the money you receive on top of your account balance. 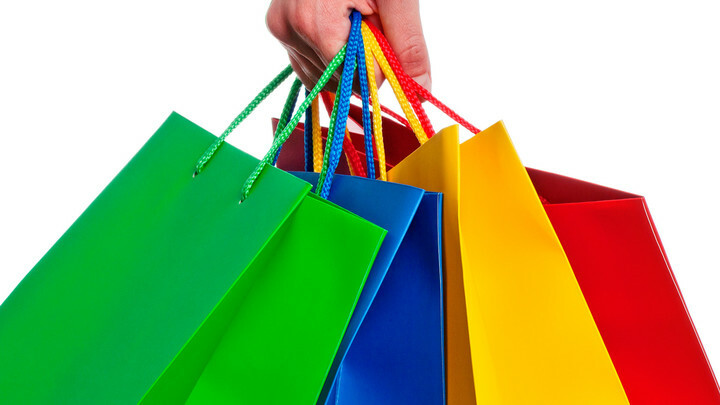 You can use your Google Wallet balance for, among others, online shopping or funding money transfers. You can also withdraw money from your Google Wallet balance to your bank account, but the transfer will also take several days. How much does it cost to use Google Wallet for peer-to-peer payments? When sending money from your Google Wallet balance, bank account, or debit card, or when requesting money, or when receiving money, Google Wallet will cost you nothing. Withdrawing money to your bank account, though, may incur a fee depending on your bank. Both PayPal and Google Wallet are difficult to recommend as peer-to-peer services mainly because they’re more strongly geared toward buying and selling, i.e., e-commerce. And so with PayPal you get invoices and accounting whatchamacallits, and with Google Wallet you get features akin to those of Apple Pay — things that are more likely to confuse than help users who just want to pay their family and friends. Arguably, we’re just now entering the era of truly simple and convenient ways of paying each other for non-commercial purposes. And one of the companies heralding this era is Facebook, which, with its Facebook Payments service built right into its Facebook Messenger app, makes paying your family and friends as simple as sending a text message. First and foremost, it should be noted that Facebook Payments is available for use only between users in the U.S. who are friends on Facebook. Also, it’s being rolled out to more users, so it may not be accessible to you even if you meet the basic criteria. How do you know for sure if Facebook Payments is available to you? Just look for the $ button above the keyboard in Messenger. If you don’t see it, that means Facebook Payments hasn’t been activated for you. To send money, just open a Messenger conversation with the Facebook friend you want to send money to, tap the $ button, enter the amount you want to send, tap Pay, enter your debit card details if you don’t have a card on file yet, and tap Pay. If you’ve previously paid Facebook for games, ads or donations, you probably have a debit card on file already. Facebook Payments doesn’t yet support linking with credit cards and prepaid bank cards. 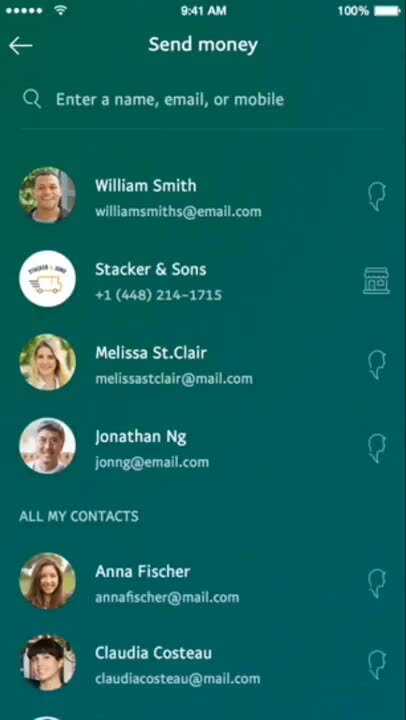 You can also send money to a friend within a Messenger group chat by selecting the friend you want to send money to after tapping the $ button. Everyone in the group conversation can see the transaction, including the amount that’s transferred, so exercise prudence when sending money in Messenger group chats. 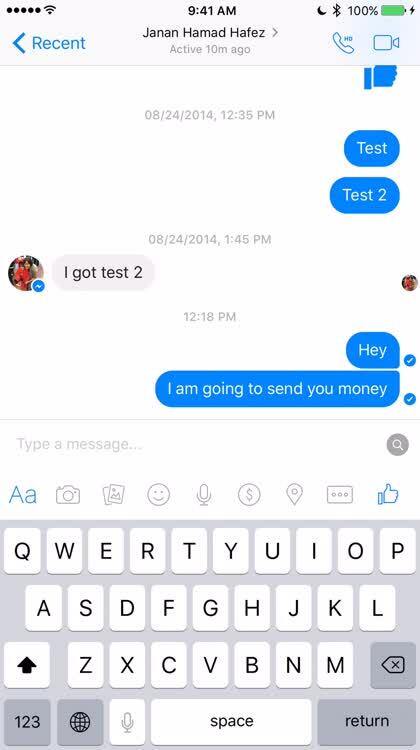 Send money with Facebook Payments, which is built right into Facebook Messenger. To receive money, open the conversation where your friend sent you the money and tap Add Card to add your debit card if you don’t have a card on file yet. Instead of being stored in a virtual wallet as with PayPal and Google Wallet, the money you receive through Facebook Payments is deposited straight to your bank account, although it may take up to three business days for the money to be converted into available bank account balance. How much does it cost to use Facebook Payments? 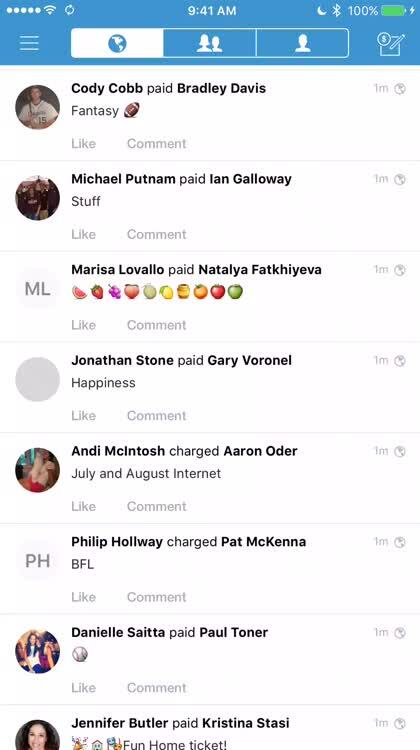 Facebook doesn’t charge anything for Facebook Payments, whether you’re sending or receiving money. You might think that the social networking giant Facebook, with its Facebook Payments service, is worthy of being tagged as the social payment network. Well, think again. That designation is actually more applicable to Venmo, the PayPal subsidiary that has made a name for itself in the field of online payments thanks to its personal money transfer service with a social slant. 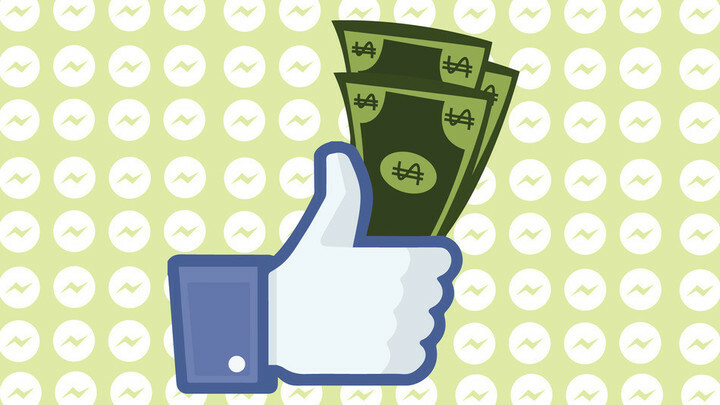 Sure, Facebook Payments makes sending and receiving money simple and convenient, but only between people who are friends on Facebook. What about paying people you don’t have close relationships with? 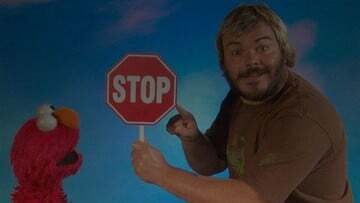 Or what if you’d rather not have your payment activity cluttered with text messages and everything else Facebook, while still enjoying a certain social networking aspect? The most popular answer is Venmo. Send money with Venmo for iPhone. To send money using Venmo for iPhone, you just have to enter the name, @username, phone number or email address of the person you wish to send money to, specify the transfer amount, and tap Pay. Given the popularity of Venmo (notwithstanding its U.S.-only availability), it’s likely that the recipient is already on Venmo. But in the event that the recipient is not a Venmo user, he or she will receive an email with a link to accept the money. The recipient doesn't have to be a Venmo user. 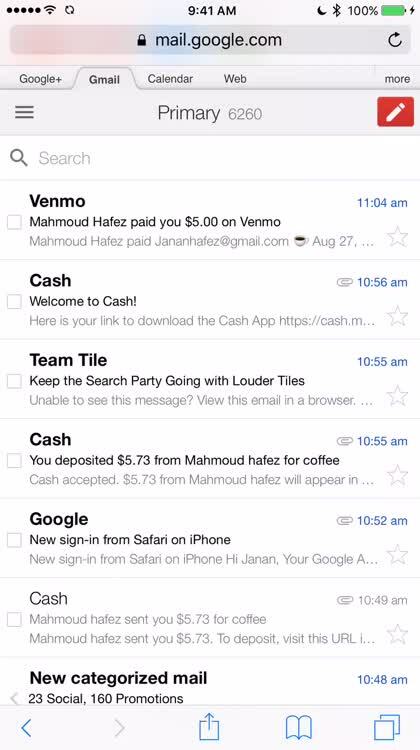 By default, Venmo suggests that the recipient sign up for a Venmo account and deposit the money to Venmo. But the recipient can opt to bypass Venmo membership and choose to deposit straight to his or her bank account instead by entering the routing number and the account number of his or her bank. The steps for requesting money are pretty much the same as those for sending money, except you need to tap Request instead of Pay. Your Venmo balance can be transferred to your bank. Money sent through Venmo may be funded using your Venmo balance, bank account, debit card, or credit card. And money received is added to your Venmo balance — a less than favorable setup Venmo shares with Google Wallet and its parent service, PayPal. You can convert your Venmo balance to cash by transferring money into your bank account, a process that usually takes just one business day. Of course, you can also use your Venmo balance to fund future transactions. 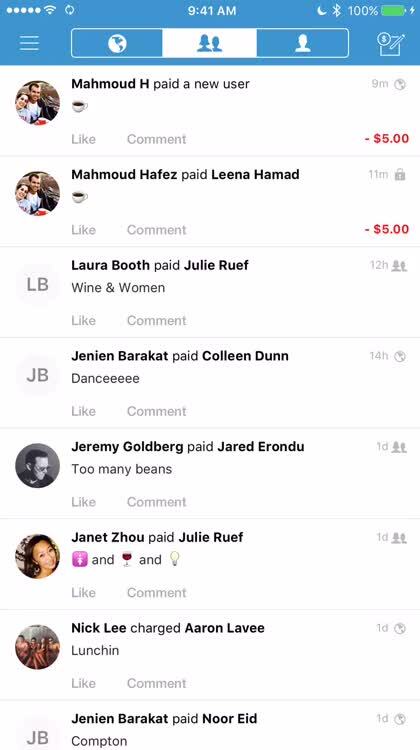 Venmo has a curious social aspect. 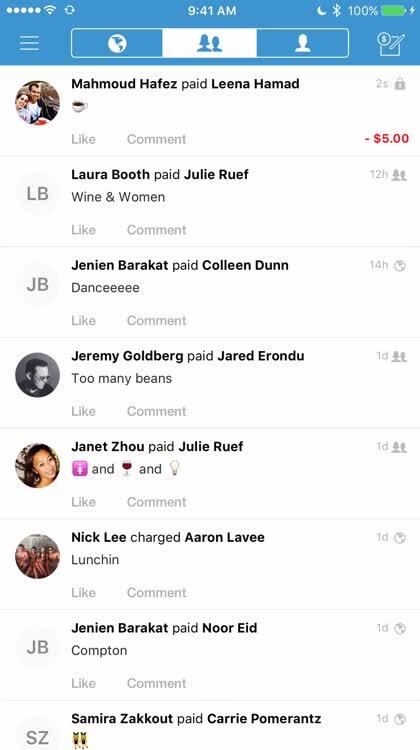 Interestingly, transactions are shared on Venmo’s social news feed. The feed shows who paid who and for what (usually indicated using amusing emoji), although the payment amounts are withheld. 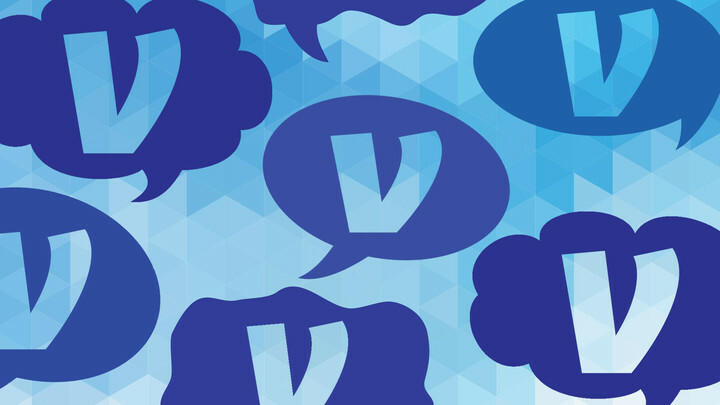 Don’t worry: You can opt out of the news feed by changing your privacy settings if, unlike many other Venmo users, you’d rather not broadcast your transactions. Indeed, conventional wisdom dictates that money matters be kept private. But somehow Venmo has turned the ability of users to be privy to others’ financial comings and goings into one of its major selling points. Sending money costs nothing if your funding source is your Venmo balance, bank account, or major debit card. But if your source is your credit card or non-major debit card, there’s a fee of 3 percent. Receiving money is always free, no matter the funding source. 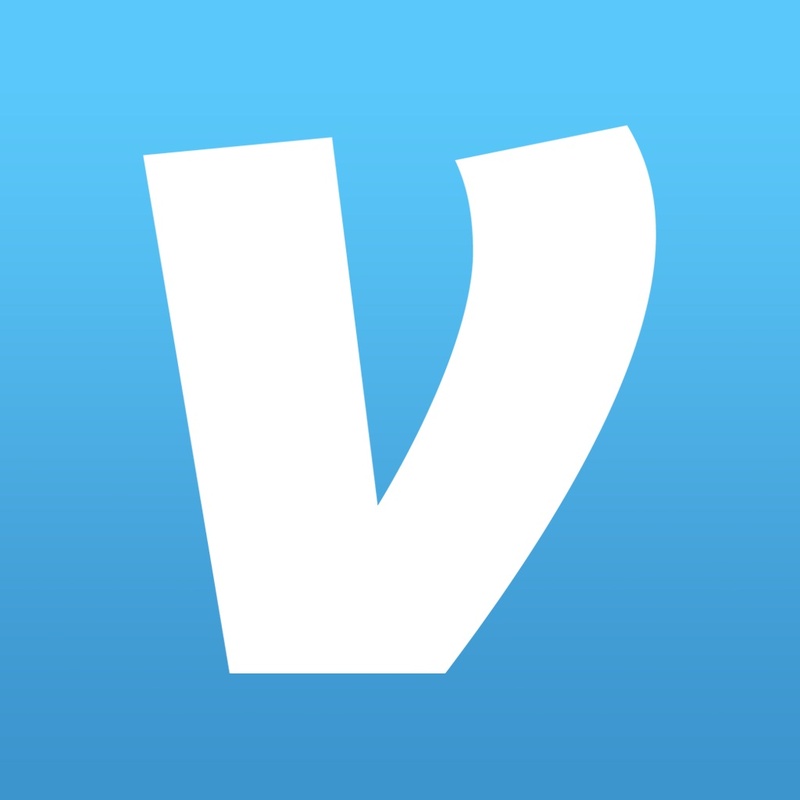 Not for nothing is Venmo considered the most popular true peer-to-peer payment service. It’s uncomplicated, and it features a unique social news feed that puts otherwise confidential payment transactions on show. But if you’re intent on finding a peer-to-payment service that’s truly straightforward and to the point, you shouldn’t be settling for Venmo either. As far as peer-to-peer payments are concerned, it’s hip to be square. That is to say, you’d do well to square up by using Square Cash. From the same financial services company behind Square Register, Square Cash makes sending and receiving money really quick and easy with its set of simple yet superb features, notably including the username-like $Cashtag. To sign up for Square Cash, you just have to provide your mobile number or email address and link your debit or credit card. 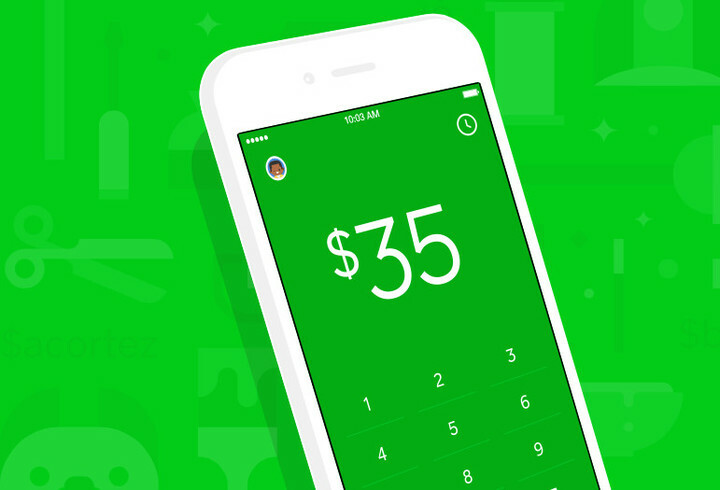 (Square Cash is open to users in the U.S. only.) You can then initiate transfers using Square Cash’s iPhone app, Apple Watch companion app, email support, or $Cashtag feature. There’s #hashtag. And then there’s $Cashtag. $Cashtag is a unique identifier that you can claim and use as a sort of username to be able to get paid easily by others, whether they have Square Cash accounts or not. 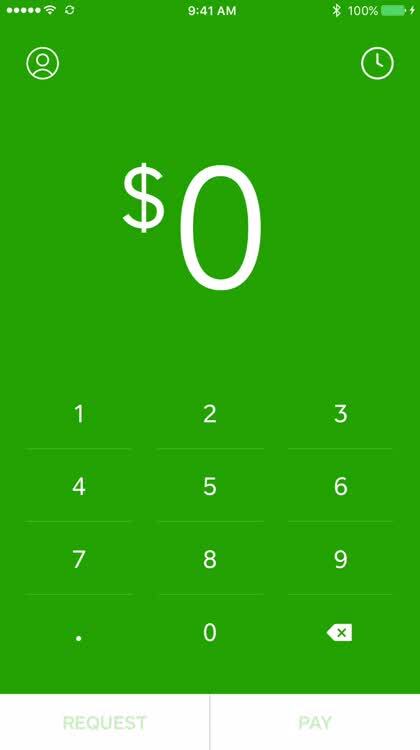 Square Cash members can enter your $Cashtag to pay you using the Square Cash app, and anyone can append your $Cashtag to Cash.me to visit your personalized URL (e.g. https://Cash.me/$Cashtag) through which they can send money to you. Link your debit card to Square Cash and you're good to go. To send or request money through the iPhone app, you just need to: enter your desired amount; tap Pay or Request; add the name, $Cashtag, mobile number, or email address of the recipient; enter a note (optional); and tap Pay or Request. 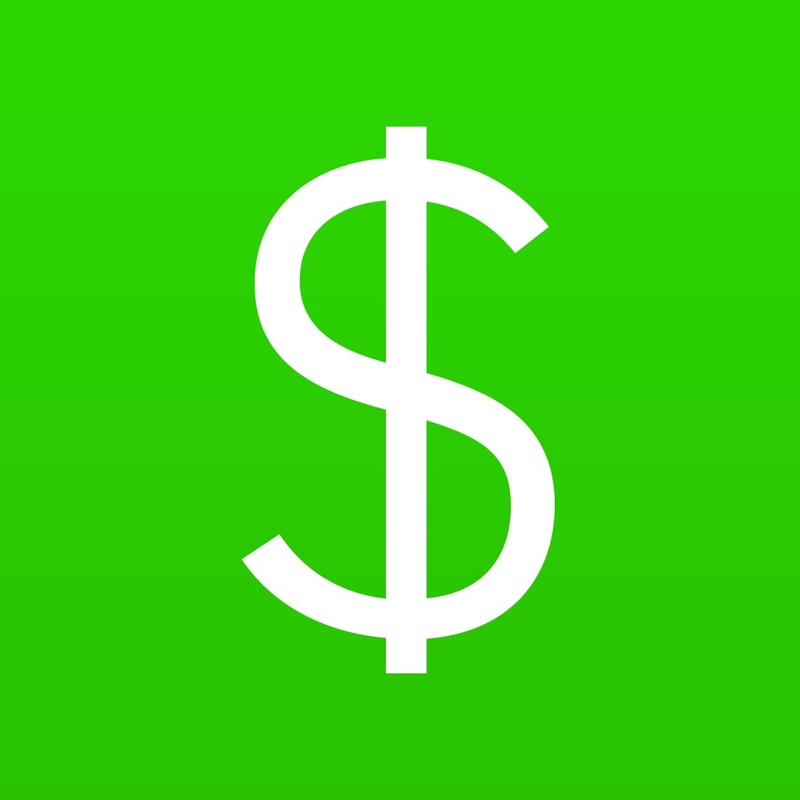 Send money with Square Cash for iPhone. On your Apple Watch, you can use Square Cash to send money by opening the Square Cash app on the device, tapping the name of your recipient, selecting an amount, and tapping Pay. 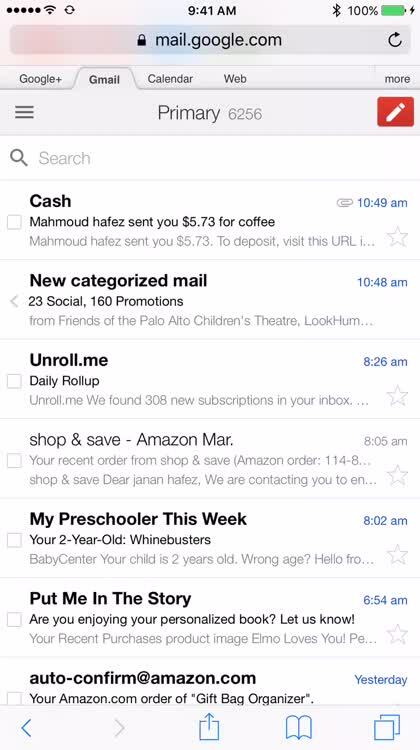 To send or request money via email, open your preferred email app, compose and send an email with the following: the recipient’s email address in the To: field, “[email protected]” (send) or “[email protected]” (request) in the Cc: field, the payment amount in the subject line, and a note in the message body. 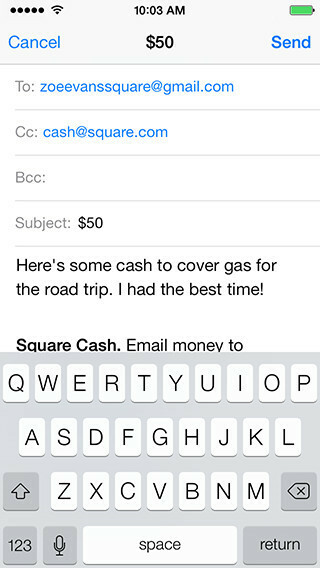 Send or request money with Square Cash via email. As for $Cashtag (which apparently “inspired” PayPal.me), you can use this feature to send or request money via a Web browser. You can use this to easily collect payments from family and friends for whatever reason (as though you were an online store) or even to solicit donations from other people, even those you don’t personally know. Send or request money using $Cashtag. To send money using $Cashtag, you just have to go to the custom Cash.me URL of your recipient, e.g. Cash.me/$wikipedia, sign in to your Square Cash account, enter your payment amount, and click Pay. To request money using $Cashtag, just give your custom Cash.me URL to the person you want to request money from. You’re actually free to share your URL with anyone, even someone who doesn’t have a Square Cash account; that someone just have to enter a payment account, enter his or her debit or credit card details, and click Pay. Square Cash works even if you're not on Square Cash. Similarly, the intended recipient of a payment need not be a Square Cash member in order to accept the money. If the recipient doesn’t have a Square Cash account, he or she gets an email with a link to claim the money simply by entering the details of the debit card to which the money will be deposited. For Square Cash members and non-members alike, provided that they’ve already linked a debit card, funds are deposited directly to bank accounts usually within seconds and occasionally within a business day or two. How much does it cost to use Square Cash? Sending money wth Square Cash is free using a debit card as the source, but incurs a 3-percent fee when using a credit card. Requesting or receiving money with Square Cash costs nothing. But that’s only if you’re doing so for personal use. For business use, e.g. accepting payments for products and services, there’s Square Cash for Business, which charges a 1.9 percent processing fee for payments received. As the header for this section states, Square Cash is deemed (at least by us here at AppAdvice) “the best way to pay.” But what makes Square Cash a cut above the rest? The answer is simple. I mean, the answer is literally “simple.” That’s right: Square Cash is the best because it’s simple. Or make that dead simple. 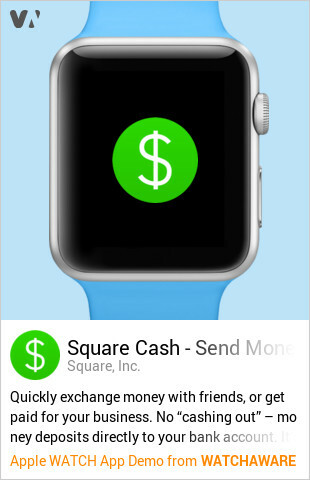 First and foremost, Square Cash works on the Apple Watch, any email client, and any web browser, in addition to the service’s official mobile apps including on iPhone. With Square Cash, money is quickly and easily sent and received to and by anyone, even by someone who doesn’t have a Square Cash account. You don’t even have to sign up for a Square Cash account to send and receive money with Square Cash. 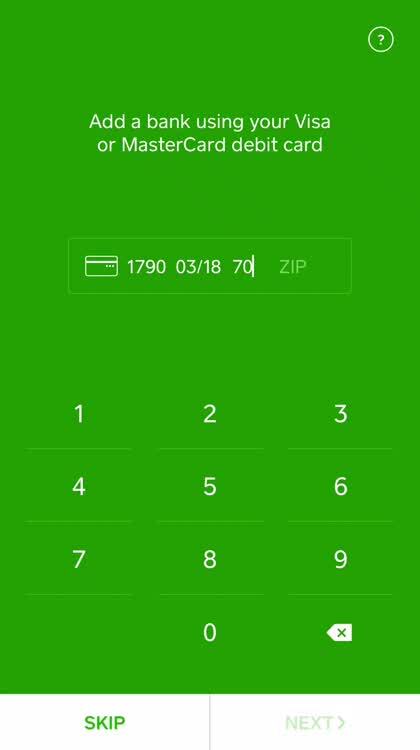 If you don’t have a Square Cash account, you can send money to a Square Cash member if you know his or her $Cashtag. You don’t really have to know the recipient’s name, phone number, or email address. You just go to the Cash.me URL with the recipient’s $Cashtag (i.e., Cash.me/$Cashtag), enter an amount, and enter your debit or credit card information, and that’s it. No need to sign up for an account, unlike with PayPal.me. Receiving money is also painless even without a Square Cash account. Just follow the link in the email notification and enter your debit card information to accept the money. You won’t be asked to sign up for an account, unlike with PayPal, Google Wallet, and Venmo. As you can see, Square Cash is decidedly straightforward. And this is further evidenced by the fact that unlike unlike PayPal, Google Wallet, and Venmo, Square Cash doesn’t hold money in a virtual wallet balance — at least not by default. With Square Cash, unless you enable its optional virtual card feature, there’s no need to think about transfers or withdrawals because funds are deposited straight into linked bank accounts, and usually within seconds at that. To its credit, Facebook Payments also offers direct deposits along with the convenience afforded by its being built right into Facebook Messenger. But it requires that both sender and recipient be on the social network that is Facebook in the first place. Speaking of social network, I’m inclined to note that Square Cash is all but devoid of one, true to its being a no-frills online payment service. That’s in contrast to Venmo, which has a social news feed that’s unique among popular peer-to-peer payment services. Of course, what other people do with their money is none of your business, but you’re free to feast your eyes on their Venmo transactions if you’re into that kind of thing and if you derive a certain pleasure or satisfaction in doing so. In conclusion, we suggest keeping all apps on your iPhone so that the most pertinent one is always on tap and on hand depending on whom you’re sending money to or receiving money from. For example, when you need to send money to someone outside the U.S., use PayPal, which supports international money transfers. But taking everything into account, we recommend Square Cash more highly than the others for its sheer simplicity, which makes it ideal for sending or receiving money to or from anyone even if that anyone knows next to nothing about online payments. Heck, the fact that neither a Square Cash account nor the Square Cash app is a prerequisite for using Square Cash speaks volumes for the straightforwardness of this service. Simply put, Square Cash is the quickest and easiest for everyone.